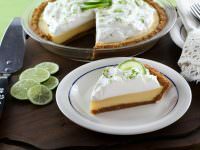 Key Lime Pie – Crisp graham cracker crust with a sweet, tart key lime filling and whipped cream topping. Time-Tested Family Recipe. 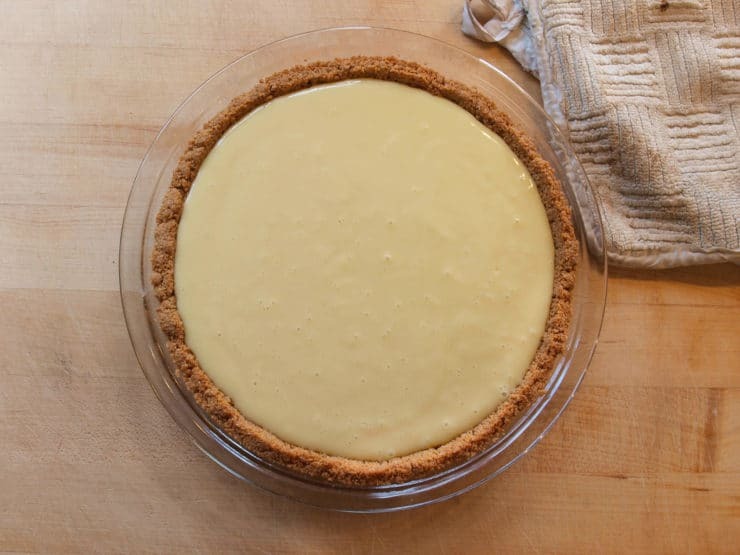 My friend Kelly Jaggers is back with her mother’s recipe for Key Lime Pie! Her nostalgic memories behind this recipe, beautifully expressed, make it taste even sweeter. Key Lime Pie is a specialty of my mother. Growing up she would make it during the summer for a special treat. She would serve generous slices of the pie topped with fluffy dollops of whipped cream. After a grilled meal, or after an afternoon spent swimming or playing in the hot Texas sun, it was the perfect treat. My younger brother loves mom’s Key Lime Pie so much he always requests it as his birthday dessert. His birthday is in mid-December, but he loves this summertime treat too much not to ask for it. She always makes him two pies – one for after dinner and a second for leftovers the next day as my family will demolish a single pie in no time. I come by my greediness naturally! When mom and I discussed her Key Lime Pie she gave me some of her tips. She has made enough of these pies that I feel her tips are worth noting. The trend I noticed in her tips is freshness trumps convenience. That makes sense since the best fresh ingredients would certainly make the best pie. Here are her tips in order of preparation. First is the crust. You want a crisp graham cracker base that isn’t too sweet, but not too bland either. The crispness of the crust stands in contrast to the smooth, creamy filling and adds some much needed texture. Also, the buttery, toasty flavor of the crust pairs nicely with the sweet-tart filling. Ready-made graham cracker crusts are available at the market, but my mother always takes the time to make her own. She said the store-bought crusts are dry and crumbly and they make a mess. The second tip is the real magic of Key Lime Pie – key lime juice. 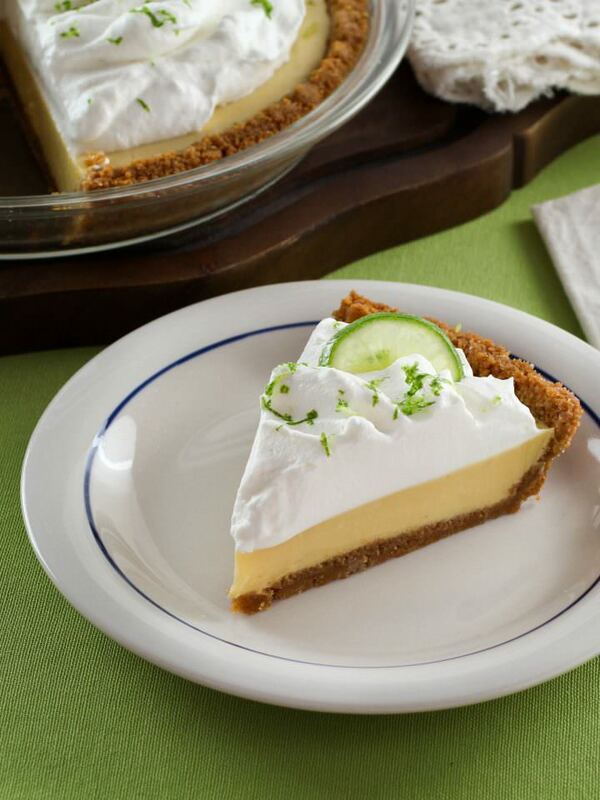 Best quality key lime juice is the difference between a ‘meh’ pie and a pie that will really impress. You can usually find fresh key limes from June to September in the market, and while they take a bit of time to juice (an electric juicer is my mom’s secret weapon here) the effort is worth it. When using fresh key limes you will need three of four 1-pound bags. If you can’t fine fresh key limes they do sell the juice in a bottle and it is quite good and my mom recommends it as a second alternative. 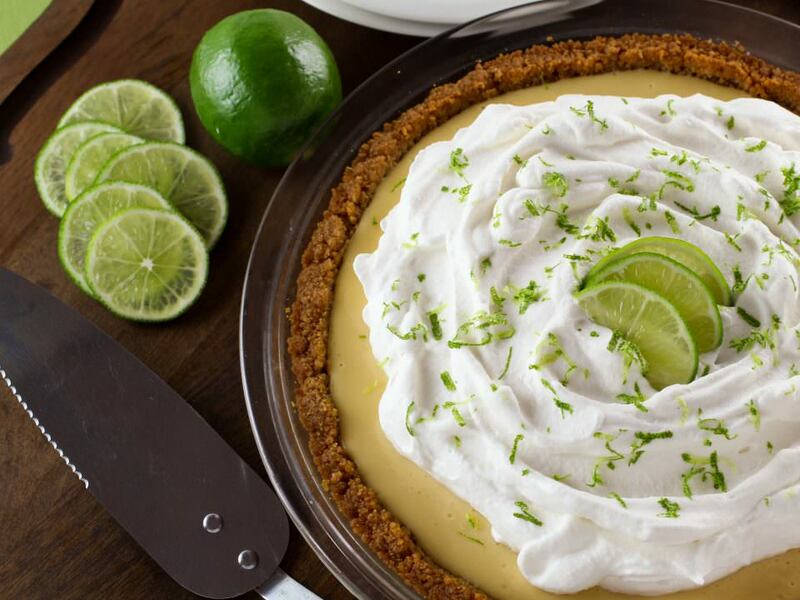 My mother is adamant – never use regular limes in a Key Lime Pie. The flavor is all wrong. The final element is the fluffy whipped cream topping. 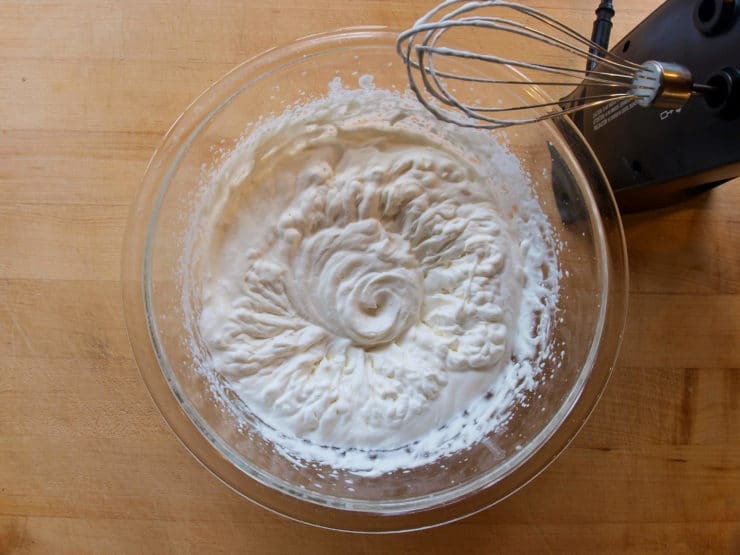 There is not a lot to say about this except you should use very cold heavy whipping cream, a touch of powdered sugar and vanilla, and whip it until it makes soft peaks so you don’t make the whipped cream grainy as you spread it. My mother did say to never, and I mean NEVER, use frozen whipped topping. If you don’t want to whip your own cream get the whipped cream in a spray can. One thing my mother also told me, more a warning than an actual tip, is to never, and I mean NEVER use green food coloring in your Key Lime Pie. The pie is meant to be a muted yellow color, not luridly, clownishly green. Don’t be tempted to add even a drop. I don’t, but then I listen to my mom when it comes to the kitchen. She is wise! 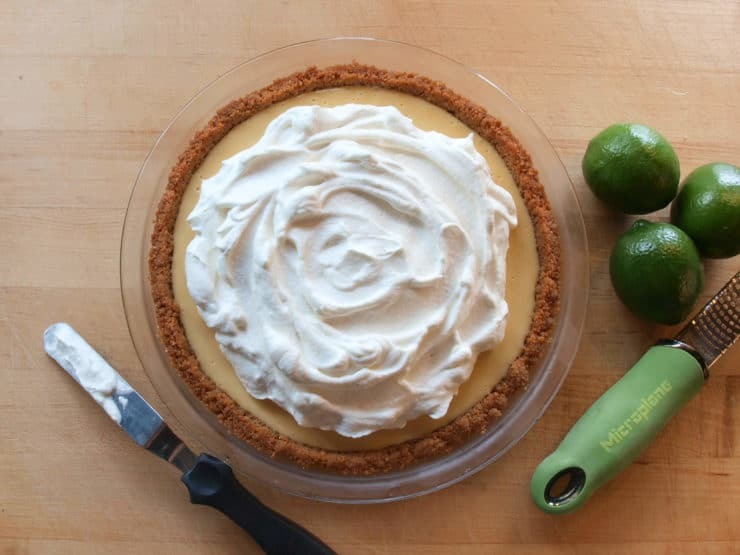 Crisp graham cracker crust with a sweet, tart key lime filling and whipped cream topping. Time-tested family recipe from Kelly Jaggers. Heat the oven to 350°F. Begin by preparing the crust. 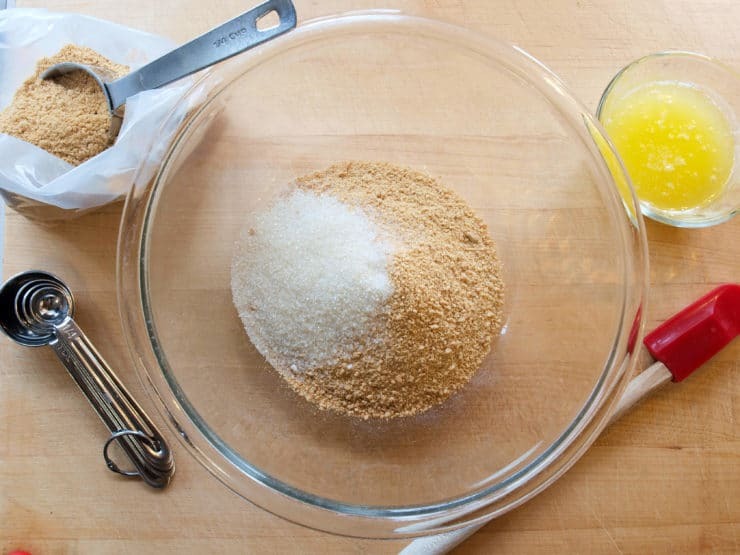 In a medium bowl combine the graham cracker crumbs, melted butter, and sugar. 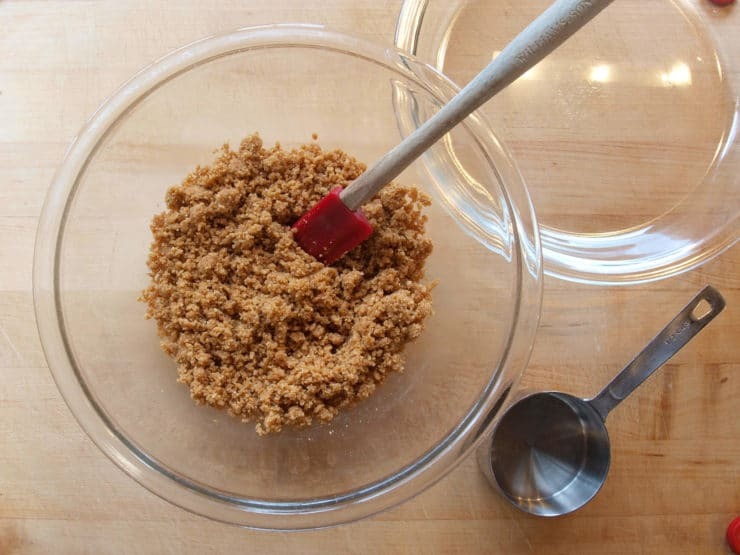 Mix until the graham crumbs are thoroughly coated with the butter. 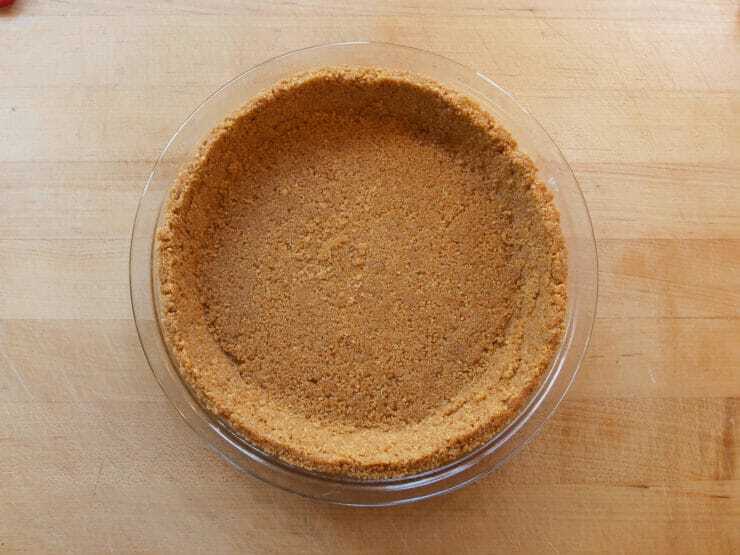 Press the crumbs into a 9-inch pie plate. Bake for 10 minutes, or until the crust is golden brown all over. Remove the crust from the oven to cool, and leave the oven on. Next, prepare the filling. 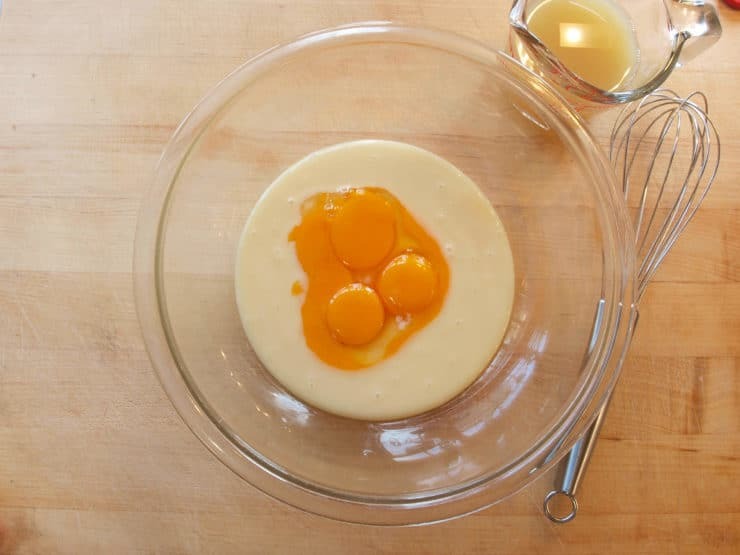 In a large bowl combine the condensed milk and egg yolks. Whisk until thoroughly combined, then add the lime juice and whisk until the mixture begins to thicken slightly, about 1 minute. 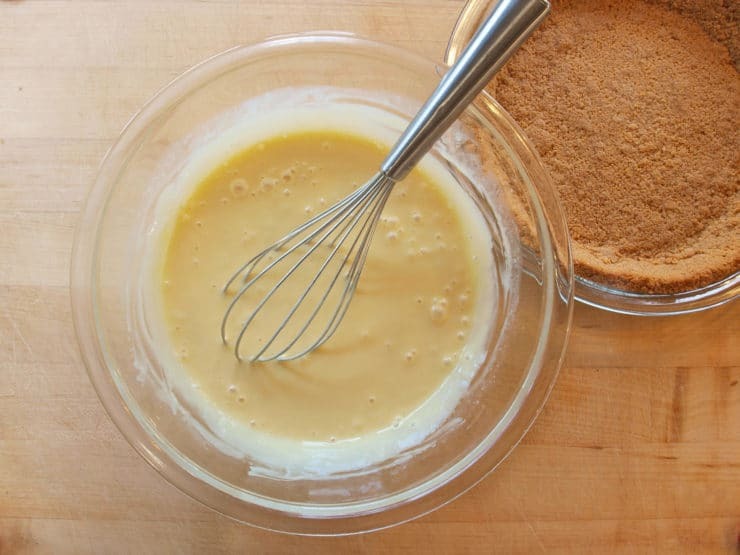 Pour the filling into the prepared pie crust and lightly tap the plate to release any air bubbles. Bake for 10-15 minutes, or until the filling is set around the edges and slightly wobbly in the center. 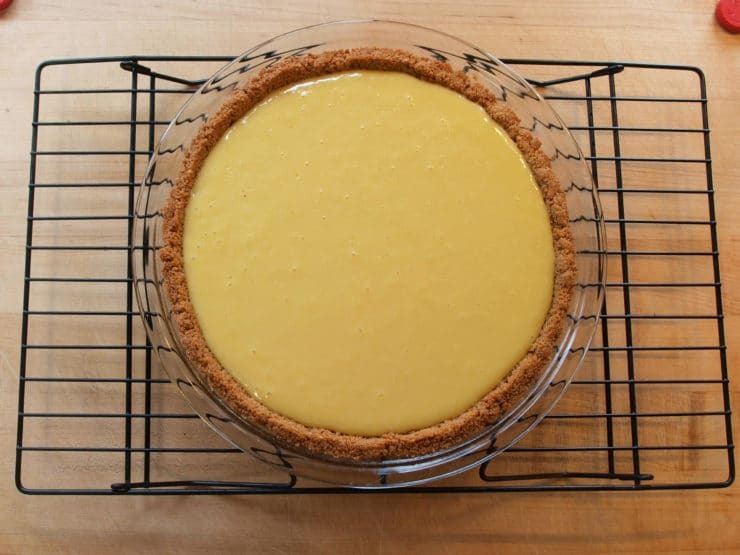 Remove from the oven and cool to room temperature, then cover the pie with plastic, or store in an airtight pie container, and refrigerate for at least 8 hours or overnight. When you are ready to serve prepare the topping. 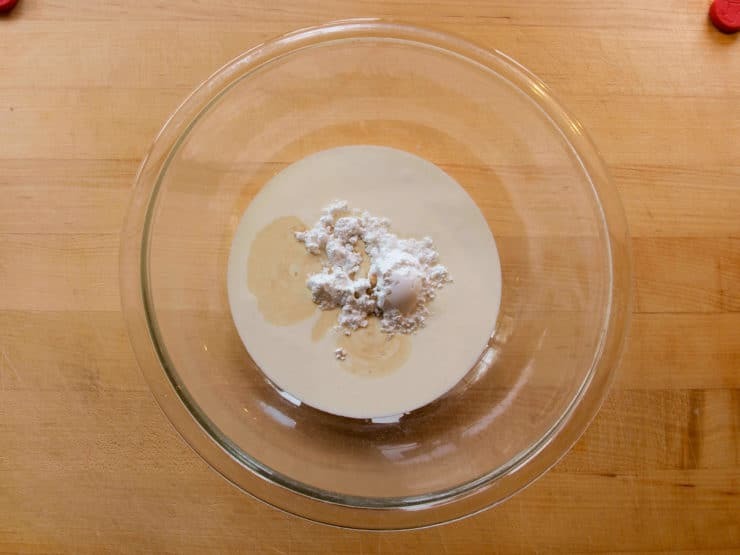 In the work bowl of a stand mixer fitted with a whip attachment, or in a medium bowl with a hand mixer, combine the heavy cream, powdered sugar, and vanilla. Mix on low speed for 30 seconds to combine the powdered sugar, then increase the speed to high and whip until soft peaks form, about 1 minute. Spread the whipped cream on the pie. Garnish with lime zest and lime slices, if desired. I was all yours after the description promised a crisp Graham cracker crust. Mix in the gorgeous photos and I’m was off to grab the limes. It’s baking now. I shall return after the tasting. Thank you for sharing! The crust was good, however the lime overwhelms the palate. Will give it another try with half the juice. How about a tablespoon of finely grated lime zest in the lime/egg/condensed milk mixture? A nice twist on the crust is to add some coconut and some coarsely ground macadamia nuts. 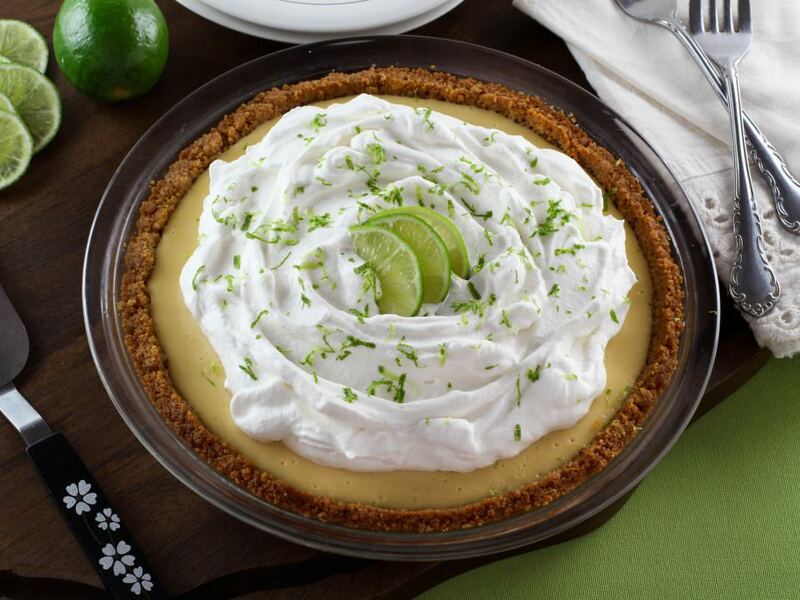 Not your classic key lime pie crust, but a nice tropical twist. If making for Passover, you can do the crust with ONLY ground coconut, ground macadamias, sugar and butter. Thanks for so clearly photographing the steps, helps so much with a new recipe. Love all your recipes, they always work. I used 1/2 fresh lime juice and it was great.!!! For the crust, I mix in an extra 1/3 cup toasted, chopped almonds. How can you make the whipped cream earlier before company arrives and keep it fluffy? I lived in Key West for 20 + years and your mom may be from Texas, but she knows key lime pie!